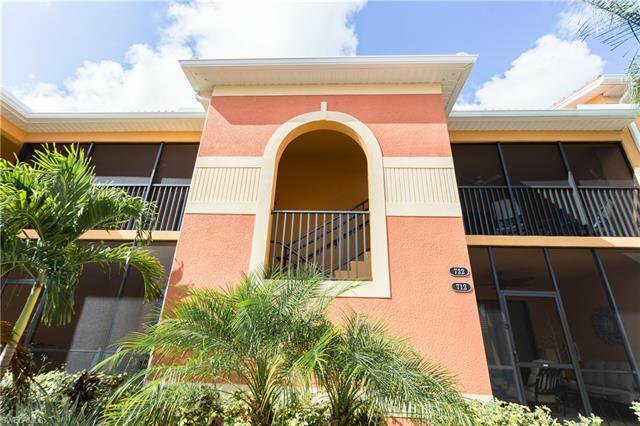 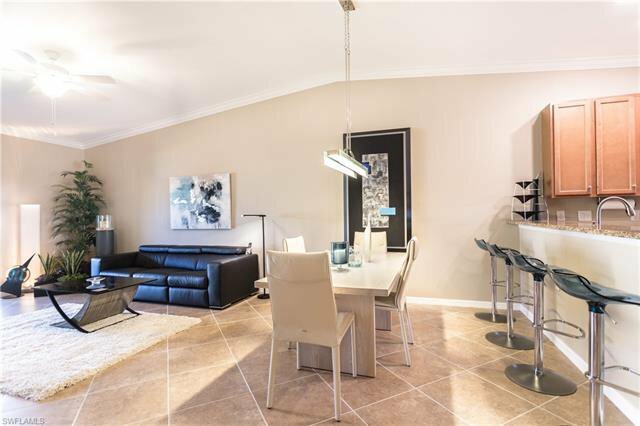 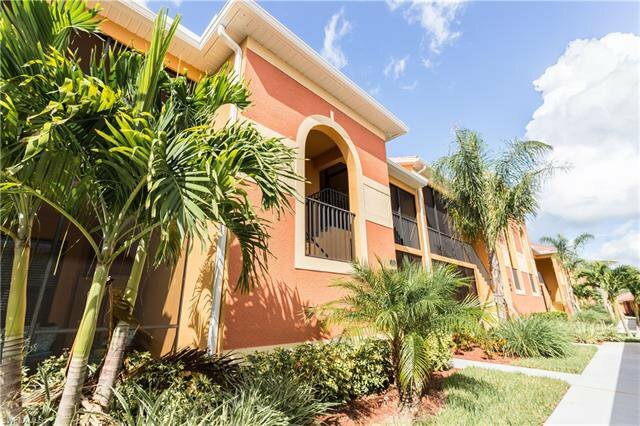 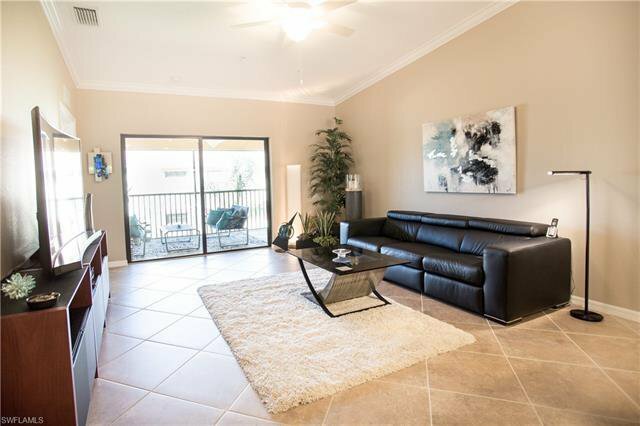 Gorgeous lake and fountain view condo with 2 Beds, 2 Baths, and den that can be used as a third bedroom, and 1 car garage in the gated community of Palmetto Cove. 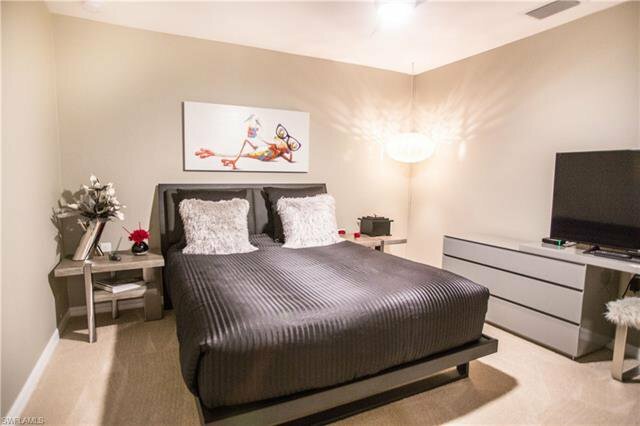 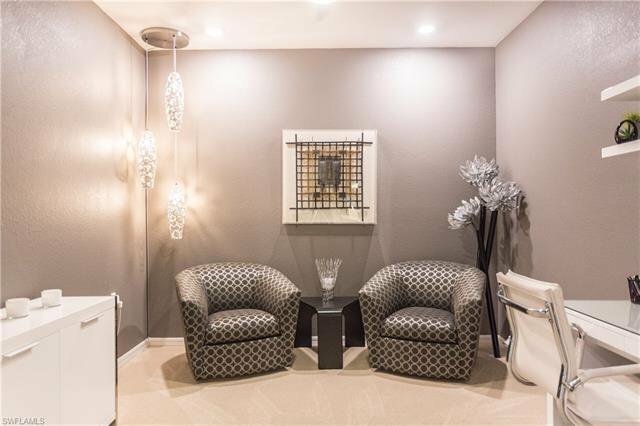 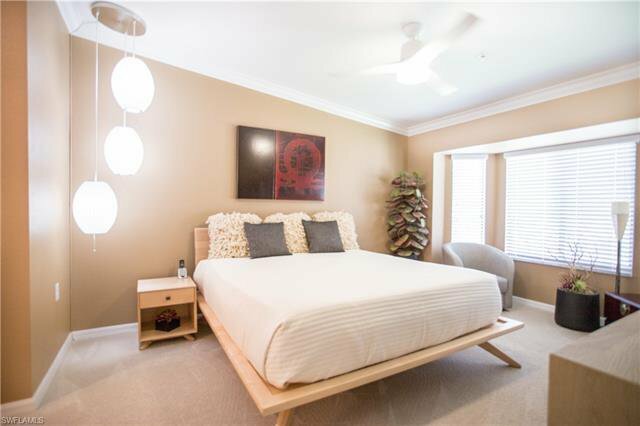 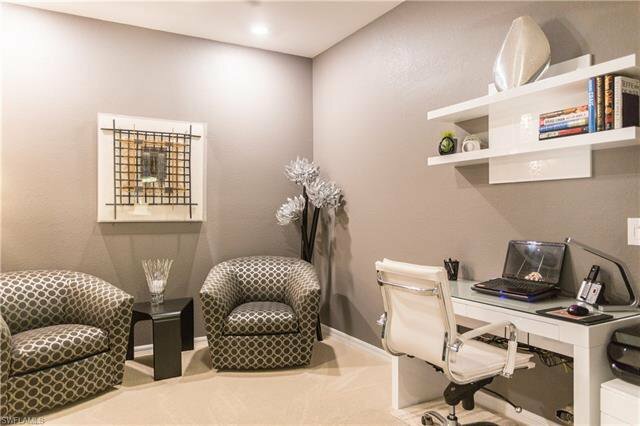 See the tasteful, contemporary new furniture in this TURNKEY Barrington model. 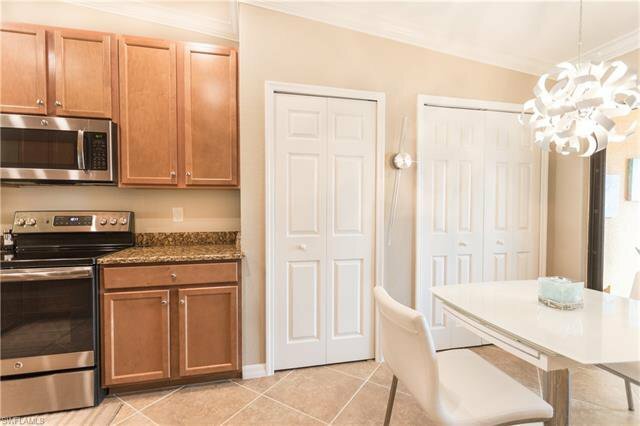 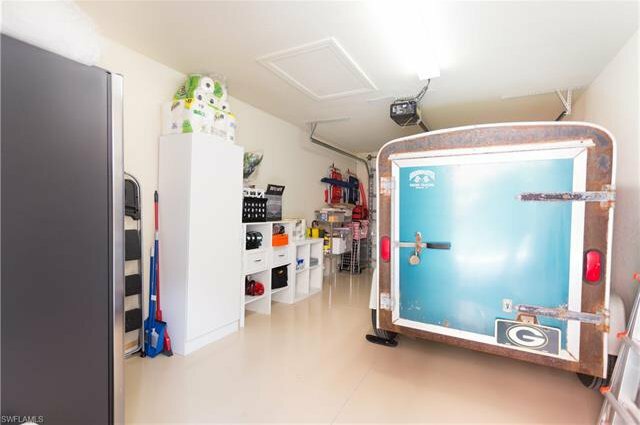 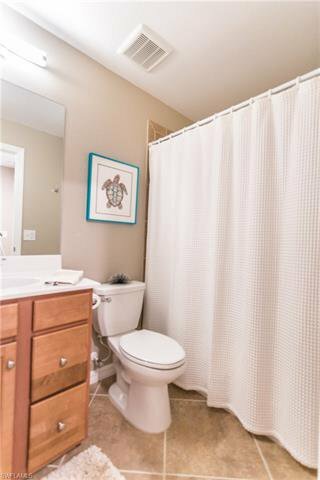 This unit is completely upgraded with LG refrigerator, lighting fixtures, closet storage, shower fixtures, fresh paint, and more. 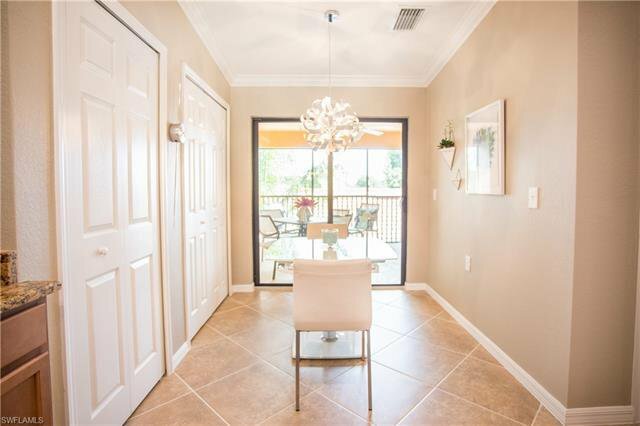 This quiet neighborhood is tucked away off beautiful McGregor Blvd, yet only minutes away from famous Fort Myers and Sanibel beaches. 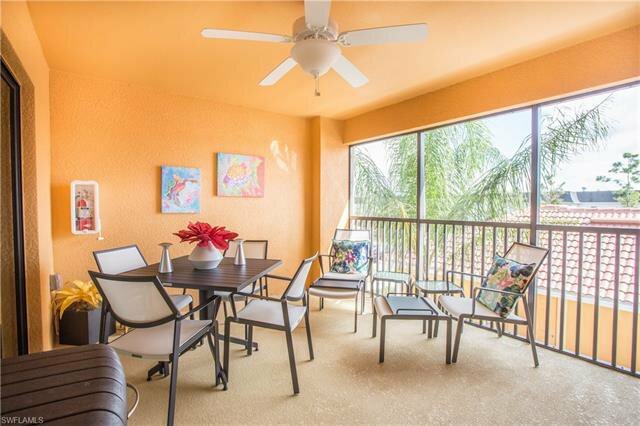 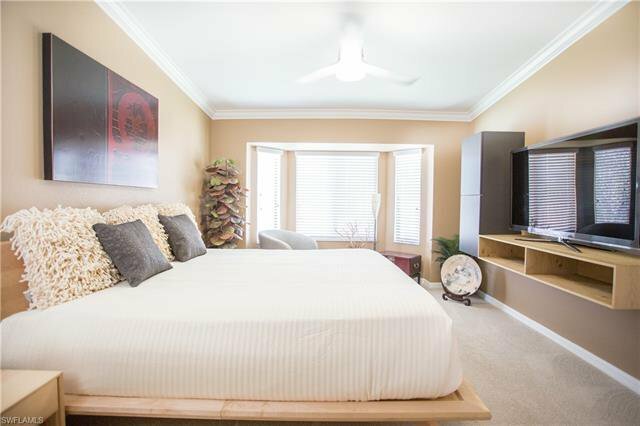 This open concept, top floor condo is less than one year old and in pristine condition. 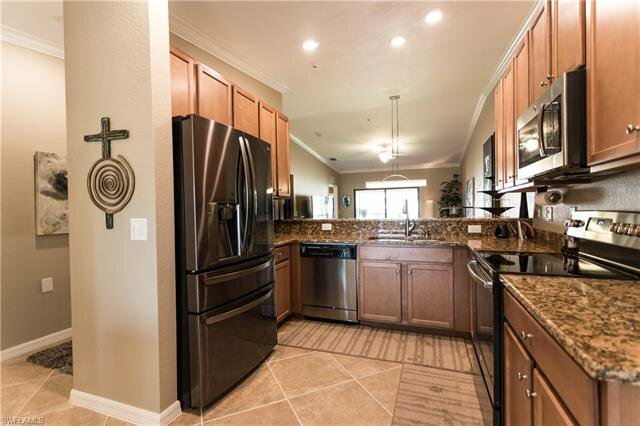 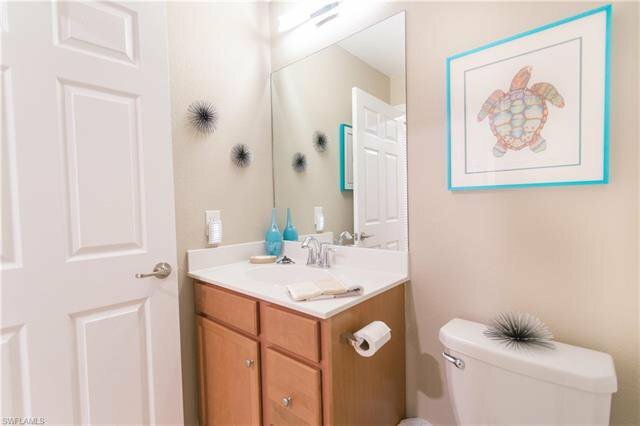 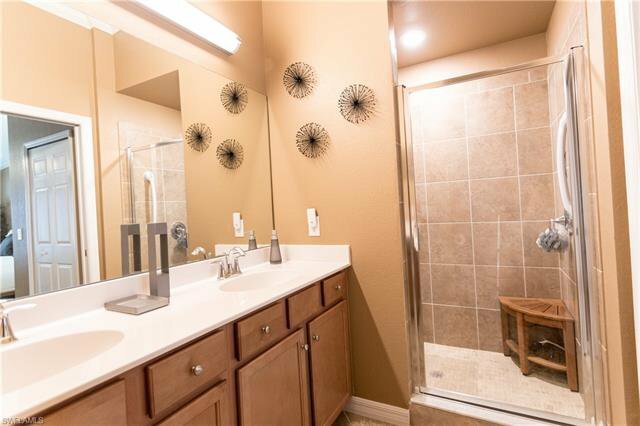 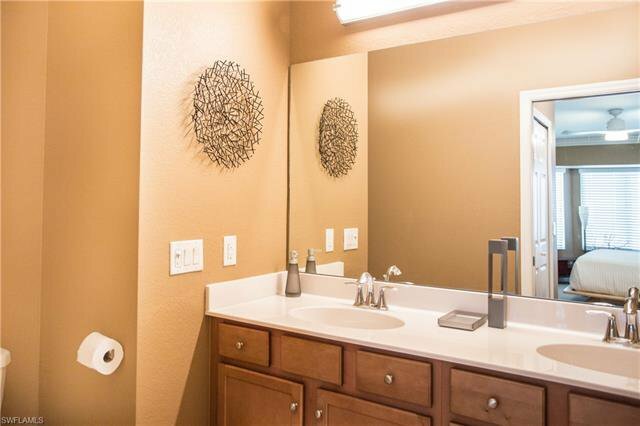 Granite countertops, stainless appliances, washer & dryer, huge walk-in closets, and dual sink in master bath. 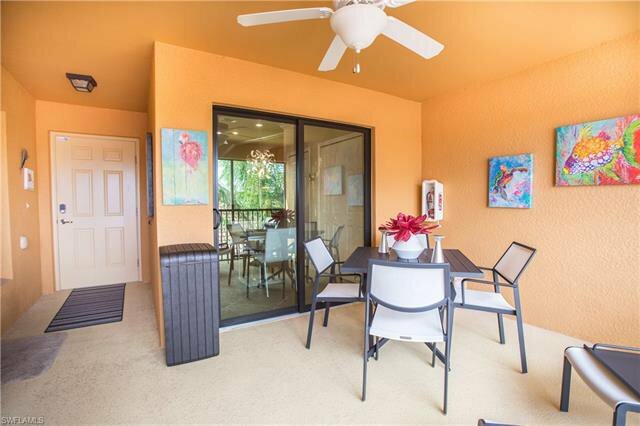 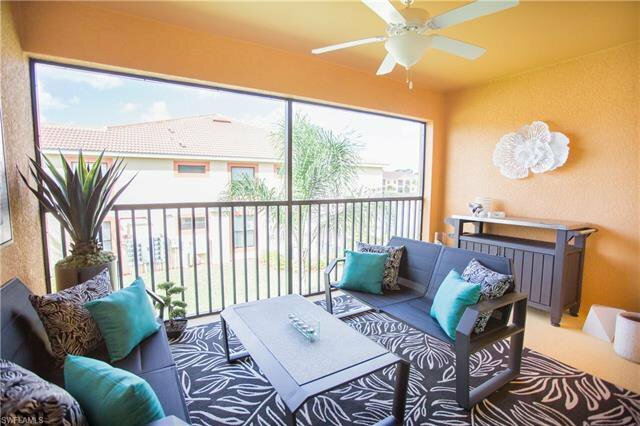 This unit has TWO lanais, one east-facing for the sunrise and the other west-facing for the sunset with the tranquil sounds of a bubbling water fountain in the lake. 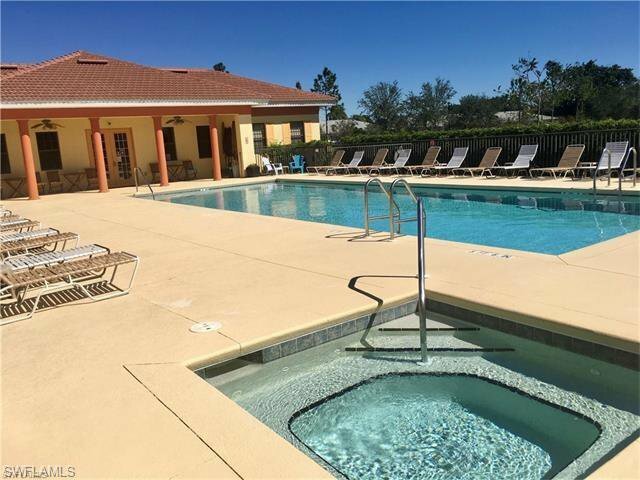 Palmetto Cove has low monthly HOAs, which include community clubhouse, pool & spa, and fitness room. 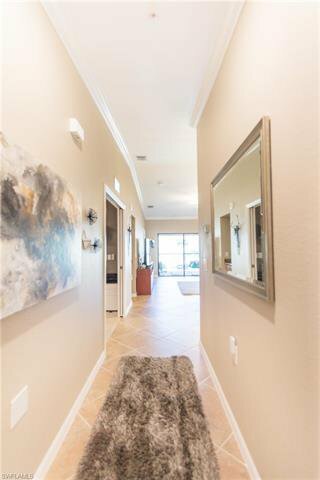 Come see in person, whether you are looking for a vacation get-away or your forever home! 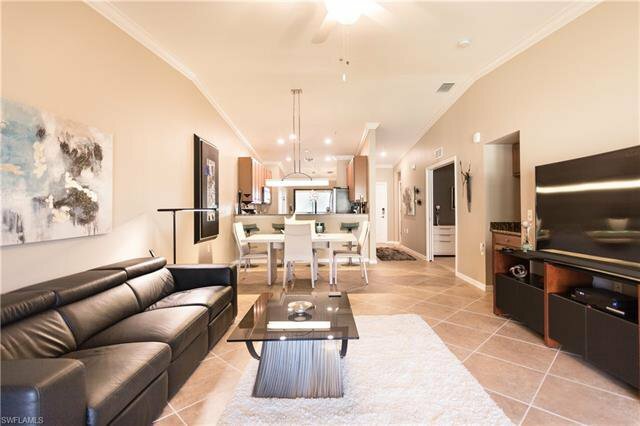 Offered TURNKEY!